As from September 2014 we have been planning and teaching using the International Primary Curriculum, which is in line with the current National Curriculum. The IPC has been designed to ensure rigorous learning but also to help teachers make all learning exciting, active and meaningful for children. Learning with the IPC takes a global approach; helping children to connect their learning to where they are living now as well as looking at the learning from the perspective of other people in other countries. Through following the IPC we have the freedom to design and timetable our subjects in a way which engages children in their cross curricula learning, enabling them to make connections and see the bigger picture. 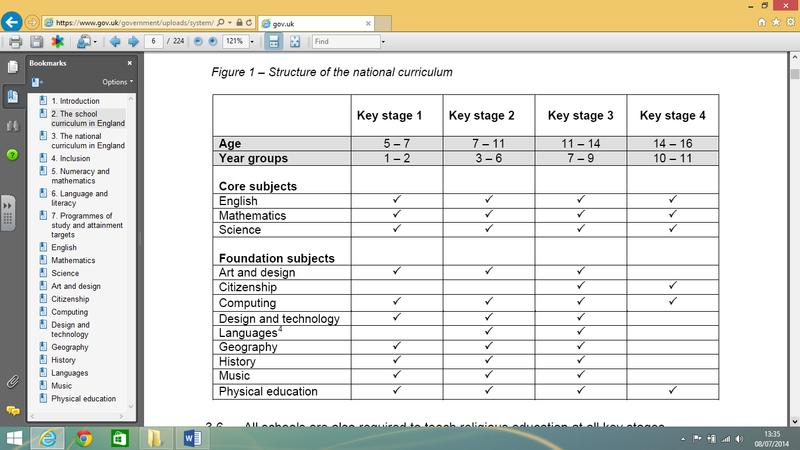 Statutory subjects outlined in the NC will be covered within our curriculum. ICT: Each year group will have two ICT sessions a week; one will be used for topic based research and one session for learning statutory computing skills. RE: International mindedness and Society explore the lives of others, looks at different traditions and celebrations around the world, and highlights the importance of knowing that we all have rights and responsibilities; we are a UNICEF rights respecting school. We follow the Croydon RE scheme of work but we no longer require RE to be taught weekly, as long as each Key Stage is allocating the correct amount of coverage. In order to deliver the programmes of study we need to devote 5% of curriculum time to RE at each key stage. This is equivalent to 36 hours in Key Stage One and 45 hours in Key Stage Two. RE in the Foundation Stage is seen as a way to introduce pupils to the concept that many people have a religious belief and to some of the ways people express their beliefs. Dedicated whole school assembly time, visits from Father Wealands and class assembly time all enhance the allocated RE teaching time. Language: KS2 learn French with a language specialist, whilst the class teacher takes small targeted groups. Each class has 45 minutes a week. We follow Croydon Scheme of work. Citizenship is no longer statutory within Primary, however, we understand the importance of the child as a whole, not just their academic ability. Class assemblies allow time for teachers to address any social issues within their class. Each IPC unit includes learning targets for International Mindedness which explores many issues including ways in which we are similar and different from each other, team work and, respecting one’s individuality and independence. Teachers are encouraged to continue with their good practice and use systems such as Circle Time and Circle of Friends where appropriate. By planning through a skills based curriculum we will recognise the importance that children need to understand how to learn as well as what to learn which they achieve through developing thinking skills. “Those considered literate in the future will be creative individuals able to learn, unlearn and learn again” (http://www.telegraph.co.uk/education/educationnews/8076564/Primary-schools-must-evolve-in-the-21st-century.html 8.10.14). Therefore, we want our students questioning and developing team work skills. We will strive to deliver a curriculum that contains excitement and enjoyment, one that is real and engaging, that it is ever evolving and varied. Student voice is a fundamental aspect of our school and we promote each teacher, class and student to have ownership on the learning taking place. We ensure time is made for students to reflect on their own learning and the learning of others. Most importantly we strive to make a difference to our children. Information about the topic your child is exploring and the learning taking place is provided in a topic overview letter, which is given out at the start of each new topic. Further updates are provided through class blogs. Click here for the IPC home page.